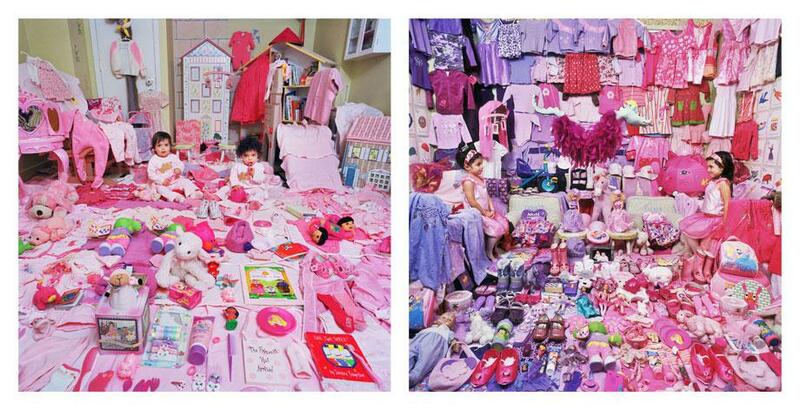 JeongMee Yoon: “The Pink and Blue Project” examines the gender-specific marketing for boys and girls (PHOTOS). 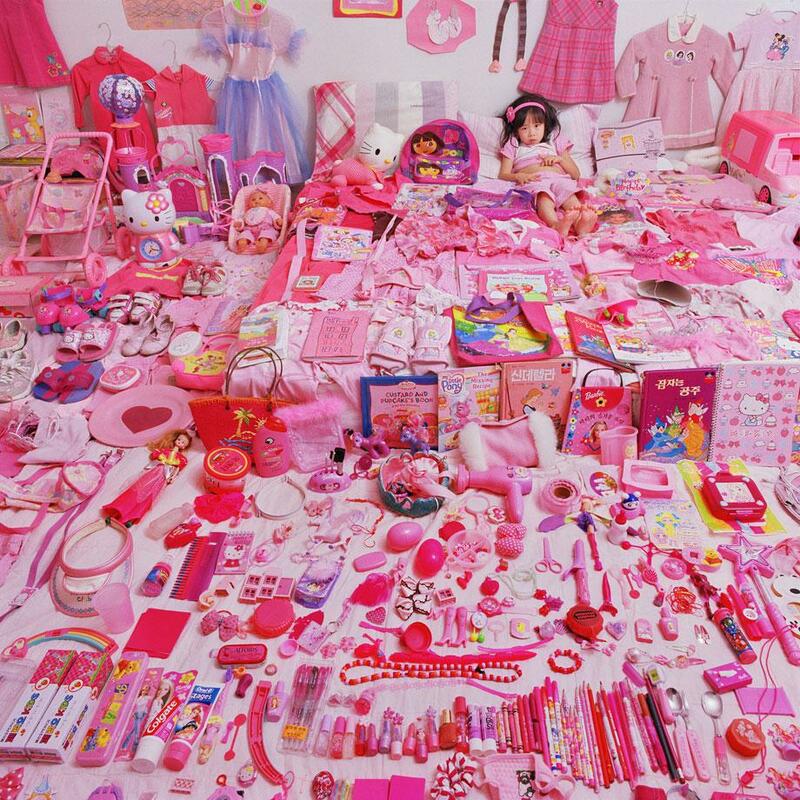 JeongMee Yoon’s “The Pink and Blue Project” began when her 5-year-old daughter wanted to wear and play with exclusively pink clothing and toys. To create the series, Yoon took an approach not unlike that of the strategic marketing campaigns she wished to capture. Shoots last between four and eight hours (she used to style the shoots herself but now uses an assistant to save time), and Yoon takes around 90 frames (shot with a 6x6 Hasselblad camera). 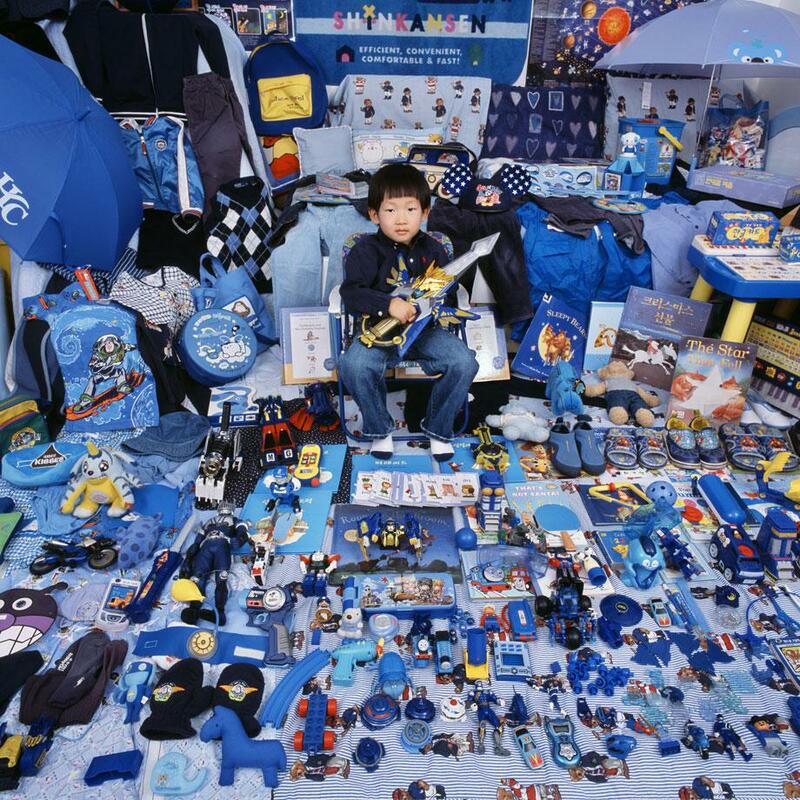 “I displayed their possessions in an effort to show the viewer the extent to which children and their parents, knowingly or unknowingly, are influenced by advertising and popular culture,” Yoon wrote. 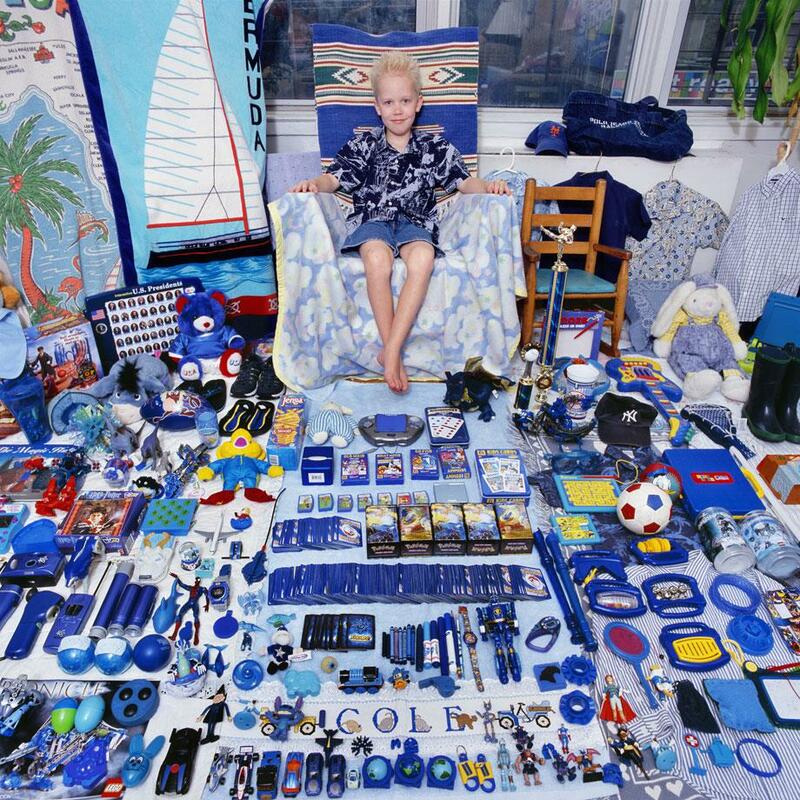 Although she initially wasn’t concerned with the arrangement of the objects, Yoon decided she wanted to give the images a “crowded” look and started organizing the objects with the smallest items in the foreground, similar to the way museums display their collections. In order to give the children a doll-like expression, apart from the specific posing, Yoon often poses the children in the background of the images and shoots with a deep depth of field with diffused lighting. Although she looked for models by advertising on the Internet, Yoon found direct contact was much easier. 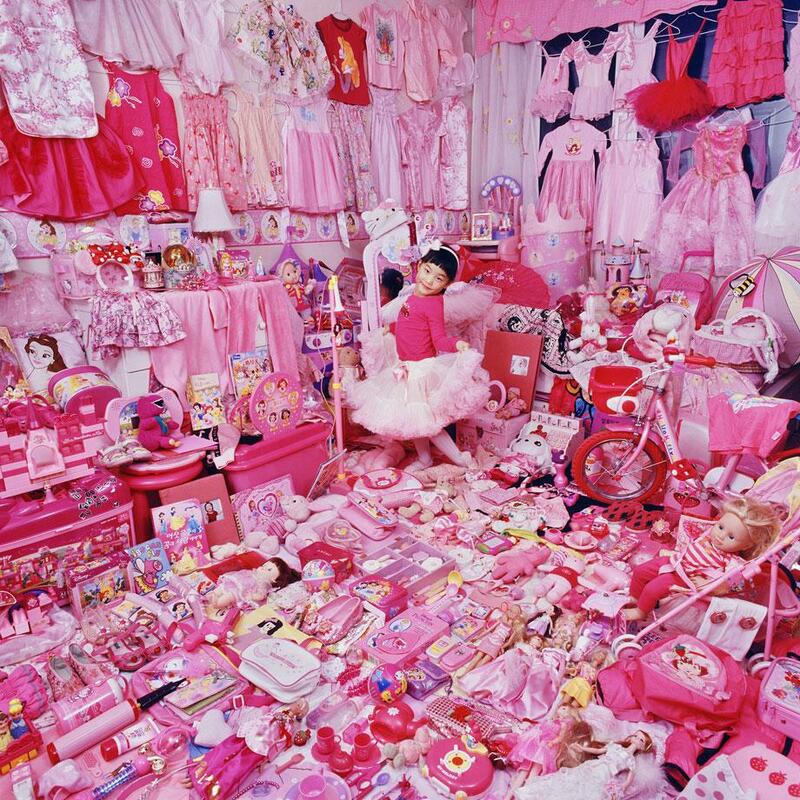 “I visited mega stores like Target and Walmart, where there are many girls wearing pink and boys wearing blue with their parents in front of pink toys and bluish items,” she wrote.